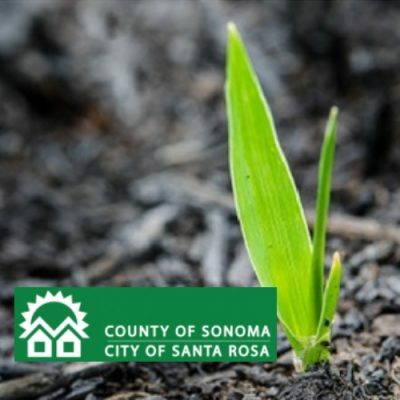 The County of Sonoma and City of Santa Rosa will hold a ceremony on October 8, 2018, in observance of the one-year anniversary of the Sonoma Complex Fires. The ceremony will include a memorial bell ringing to remember those who lost their lives and provide an opportunity for community grieving, healing and reflection through public chalk art expression. The chalk art will continue on October 9th. Chalk will be available for public art expression. Chalk art will be encouraged on sidewalks around Courthouse Square. The ceremony will start at 6:00pm and will include a reading by Sonoma County Poet Laureate Maya Khosla and a Firefighter memorial bell ringing. Continuation of public chalk art expression.